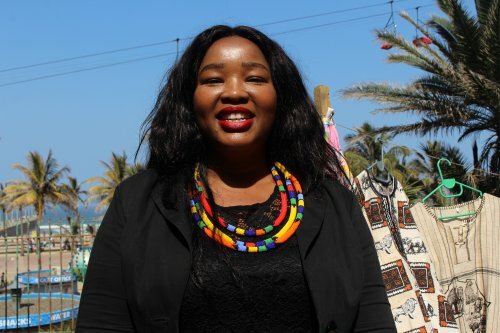 Durban, South Africa: WOMEN involved in tourism in KwaZulu-Natal have formed a regional chapter of a key national organisation, Women in Tourism (WiT) which aims to enhance members' opportunities and drive transformation. The WIT KZN Chapter, which is linked to the National Department of Tourism, also aims to identify power imbalances and raise awareness about the exploitation of cheap labour. Its main focus areas include employment skills for young women, supply chain participation for women co-operatives and career advancement. The organisation wants to merge the gap between emerging and existing entrepreneurs. Makhosi Msimango, who scooped a special award from Sihle Zikalala, the MEC for Economic Development, Tourism and Environmental Affairs (EDTEA) during the recent provincial Lilizela Tourism Awards ceremony has been chosen as the first chairperson of the KZN Chapter of WiT. Phindile Makwakwa, acting chief executive officer for Tourism KwaZulu-Natal said: "This initiative has been greeted with enthusiasm from women in the tourism sector. It is an initiative that is poised to command respect for the roles women play in the sector, encouraging equal representation in economic activities and leadership and ascertaining recognition for the contribution women make." KZN WiT will focus on formalizing a structure that will drive developmental and women empowerment programmes within the tourism sector in KZN. "Our aim is to strengthen institutional structures through development of provincial chapters that will report to the national structure, share information that will empower women, as well as popularise the key drivers of the initiatives agenda being: respect, representation and recognition of women in the sector," said Makwakwa. The initiative plans to create platforms for members to network and expand their businesses. It also favours mentoring and training and promotes and advocates for training facilities and hospitality schools. Makwakwa added this will help up-and-coming businesses gain access to business resources, information and opportunities. Msimango, speaking at the launch said: "We want to help women run sustainable tourism businesses that can compete globally." Last week, Msimango, in recognition of her contribution to tourism was presented her with a R50 000 cheque for marketing from EDTEA. Now, Msimango and the newly-formed local WiT initiative plan to help others on the road to success. The National Department of Tourism representative, Nonkuleleko Mthembu, speaking at the launch, said that the local chapter had customised flagship programmes to ensure that women were recognised in the industry. "We have customised programmes in university institutions, such as Unisa, called the Executive Development Programme. We have reached out to banks, such as Nedbank and firmed agreements that they can provide training for women," she said. According to the Global Report on Women in Tourism, published by the United Nation World Tourism Organisation in 2010, the tourism sector serves as an engine for economic development through foreign exchange earnings and the creation of direct and indirect employment. It also highlighted that tourism growth presents challenges and opportunities for gender equality and women's empowerment. The report also highlighted that it is women who make up a large proportion of the formal tourism workforce, women are poorly represented at professional levels, and are typically earning 10% to 15% less than their male counterparts, to name a few. In 2013 discussions around the challenges confronting women in the sector were raised at the Women in Travel and Tourism seminar by the National Department of Tourism and the Tourism Business Council of South Africa. Following these discussions, the Women in Tourism initiative held its first networking session at the 2014 Tourism Indaba as a precursor to the full launch of the initiative in October 2014. WIT is coordinated by a committee made up of volunteers from private and public sector tourism organisations, officiated by the then Deputy Minister of Tourism Ms Tokozile Xasa. An annual conference is on the cards too, where, among other aspects, delegates will be able to engage a broad cross-section of the business community and generate new leads. The next meeting of the regional chapter is planned for January 30.